Sign up and receive Property Email Alerts of Houses for sale in Hayfields, Pietermaritzburg. This low maintenance family home offers it all! The home is positioned on a level piece of land and is situated in the heart of hayfields. The home offers a well-fitted kitchen with ample cupboard space and boasts a built-in oven and a gas stove. The Kitchen and dining room enjoys high ceilings with exposed wooden beams. The home comprises of a large family lounge boasting a fire-place and has been finished off with wooden flooring. The 2nd lounge includes a built-in bar and leads onto the outside veranda through sliding doors. The veranda overlooks the level garden and sparkling swimming pool. This area is ideal for entertaining. 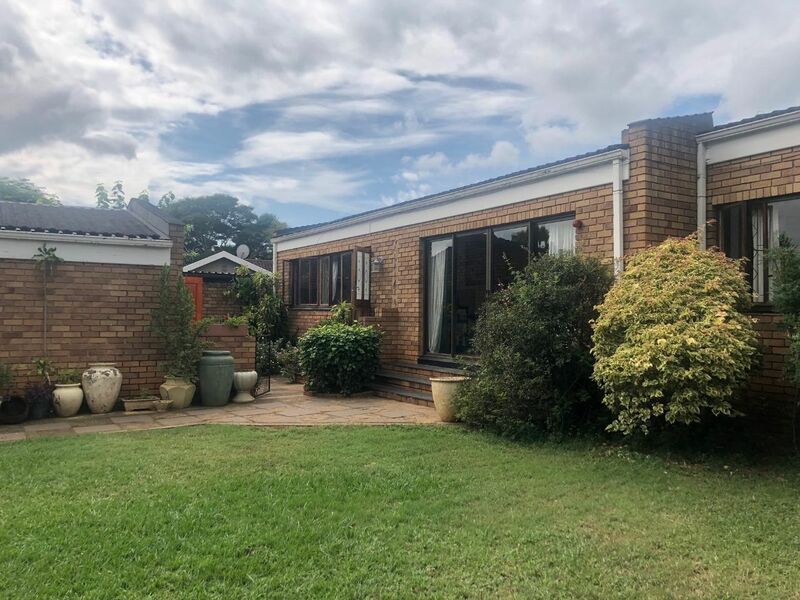 This home offers plenty accommodation which includes 5 bedrooms served by 2 neat and modern bathrooms (main en suite). The home also offers a study, double garage and a carport. This home is ideal for a large family and has been a much loved home for many years. Sign-up and receive Property Email Alerts of Houses for sale in Hayfields, Pietermaritzburg.